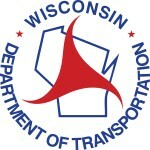 The Wisconsin Department of Transportation (WisDOT) is hosting a public involvement meeting to discuss the rehabilitation of several I-894 Freeway overpass bridges in Milwaukee County. The meeting will follow an informal, open house format with WisDOT representatives available to discuss the proposed project in detail. WisDOT encourages property and business owners, interested residents, and other stakeholders to attended the meeting and to ask questions. If you are unable to attend and would like more information, please contact WisDOT Design Project Manager, Joshua LeVeque at (414) 750-1468 or Joshua.LeVeque@dot.wi.gov.